Other than English, what languages do you speak? 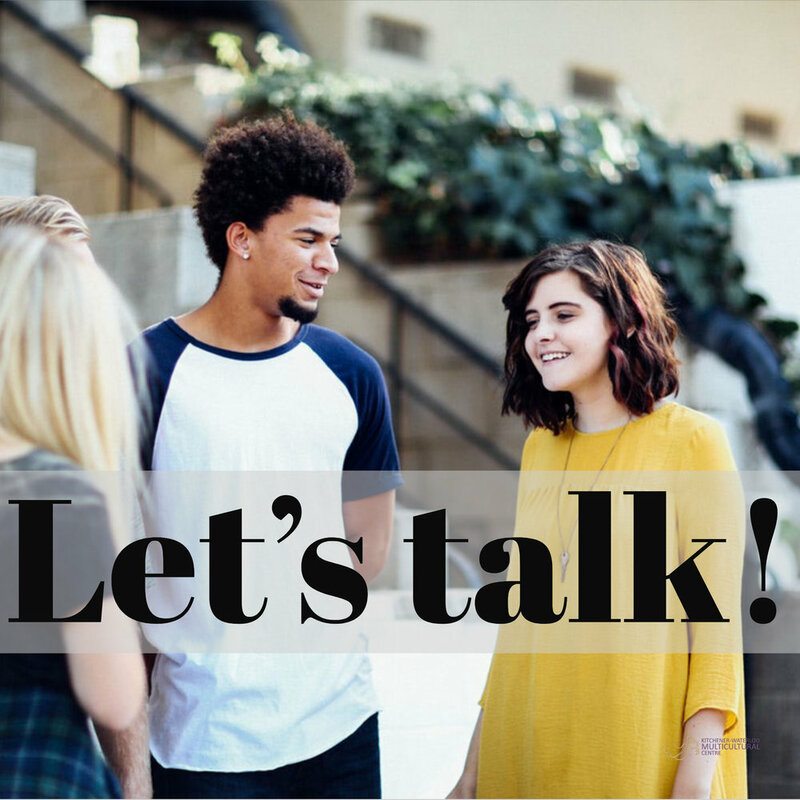 “Let's Talk" is a program for high school students focused on education and career guidance. We use arts activities like drawing, poetry and drama plus connections with community mentors to help you figure out your future career and education goals. And of course, there will be food! We believe that as a community, we can and should listen to the voices of newcomer youth. Through programs like this, we help train young people on how to make a positive difference in their communities, expand youth knowledge, and enhance their understanding of Canadian culture, systems, values, rights and responsibilities. When: Weekly from 5PM - 7PM, beginning on April 25th until June 13th. Where: Kitchener Public Library, 85 Queen Street North. Week 3 - What Do I Want To Be?